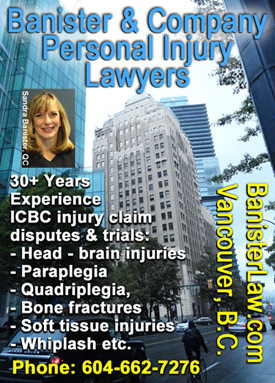 RoseKeith.bc.ca 20+ years in ICBC injury disputes, experienced with traumatic brain injuries · Medical Malpractice · Employment Law. Experienced with MVA injuries involving cars, motorbikes & cyclists, resulting in head-brain injuries, paraplegia, quadriplegia, bone fractures, and soft tissue injuries including whiplash etc. Law and Associates Law Corp.
Lorezno Oss-Cech, BSc, LLB; Barri Marlatt, LLB; Misty Hillard, LLB; Robert Hutchison, Hon. This site optimized for smart phone users 12.10.28.